To begin, the Danielson Gallery will be dressed up with the season’s festive decor. As Monica Llobet teaches the secrets of tango, the DJ will seduce you with the romantic sounds of tango. His signature mix ranging from golden era tango classics to innovative neo tango groups is sure to heat up the dance floor. In addition to the Biltmore's exceptional selection of Argentine wines, Snow Queen Vodka will be sponsoring half price cocktails. To continue with the excitement we will be raffling extra door prizes; VIP Biltmore Sunday Brunch certificates, and one of Zoe's signature autumn harvest baskets. Everyone goes home with an extra special thank you gift, and much more!!! Look for Alma de Tango on Facebook and become a fan! Meet Lee Schrager, founder and director of the Food Network South Beach Wine & Food Festival, at Epicure Gourmet Market and Cafe. Schrager will be on hand to talk about and sign his new Food Network South Beach Wine & Food Festival Cookbook (Clarkson Potter). Mingle with foodies, enjoy the aroma of traditional Thanksgiving foods being prepared in Epicure's kitchen and sip a glass of Joel Gott Wines while you get the behind-the-scenes scoop on some of America's hottest chefs! Best of all, buy a book and take home a holiday pie, compliments of Epicure. Choose from choice of pumpkin, apple-pecan or apple, while supplies last. Nov 11- Dec 26, Cirque du Soleil "KOOZA"
Tonight the famous artistic circus troupe opens in downtown Miami at Bicentennial Park. KOOZA is a return to the origins of Cirque du Soleil: It combines two circus traditions - acrobatic performance and the art of clowning. Truly an adrenaline rush of acrobatics in a crazy kingdom! Between strength and fragility, laughter and smiles, turmoil and harmony, KOOZA explores themes of fear, identity, recognition and power. The show is set in an electrifying and exotic visual world full of surprises, thrills, chills, audacity and total involvement. Get your tickets today online! The Wolfsonian museum marks its 15th anniversary and the celebration starts with a cultural juggernaut (similar to its collection) and escalates into a thematic Quince. Starting Thursday, November 11, from 6-8pm, in celebration of the exhibit Speed Limits, which honors the 100th anniversary of Italian Futurism, Italian Consul General Marco Rocca and other dignitaries include France's ambassador to the U.S., Pierre Vimont, will celebrate the French Consulate's 25th anniversary in Miami. French performance artist Laurent Moriceau will present Le Vin des Minutes, a piece involving --wine! Free for members and the FIU community, $10 for members' guests. At 8pm Friday, at the Fountainbleau Miami Beach, the Wolfsonian Visionaries will throw a Quince bash featuring Grammy-nominated Conjunto Progreso, DJ Jody McDonald. Tickets are $250 per person, $2,500 for a table. From 12pm-6pm Saturday, is a community day, FREE to everyone. There will be Speed Limit tours at 1pm and 2pm. 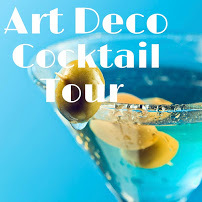 At 3pm guests can take to the nearby streets for 60-minute guided tours of the Art Deco district by foot ($2 per person) bike ($8) or Segway ($30) and then run, pedal or glide back to the museum in time to catch another Moriceau performance, this time a culinary one. 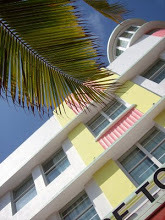 The Wolfsonian-FIU is located at 1001 Washington Avenue, Miami Beach. Miami is never short of culture and the grand finale for the fall season is the annual Miami Short Film Festival. Attracting movie directors from around the world, enjoy remarkable movies from the four corners of the world. Short films encapsulate the comical, the unbelievable, the never-would-have-imagined, and the zaniest without the epic long 3 hour length. Click here for movie trailer clips and tickets. Florida Grand Opera will open its season with Turandot, Puccini's last opera that premiered in 1926. It is considered by many to be the culmination of the Italian Grand Opera tradition, approaching Wagnerian scale in both the size of performing forces and the title role's legendary vocal demands. This production's Turandot, Lise Lindstrom, and Calaf, Frank Porretta, thrilled Metropolitan Opera audiences this past season, and local favorite Elizabeth Caballero returns to sing Liu. The conductor of FGO's recent Lucia di Lammermoor, Ramon Tebar, returns to lead this outstanding cast. Additional performances at the Arsht Center are November 16, 19, 24 and 27 at 8 p.m. and November 21 at 2 p.m. The production moves to Broward Center for performances on December 2 and 4 at 8 p.m.
A city of Miami initiative to promote a healthy, active community, based on livable streets and the growing urban neighborhood that is Downtown Miami. It's free, family-friendly, and fun! Bike Miami Days is an open street event for walking, cycling, skating and enjoying your downtown area. This inaugural event showcases a select sample of artists of every possible expression of art ranging from jewelry, paintings, ceramics, fashion and accessories design, sculptures, photography, pottery, and interior design. The "event" season in Miami kicks off every year in November with the Miami Book Fair International where thousands of adults and children converge in downtown to discover new books, meet new and celebrated authors, and purchase books for less than retail. 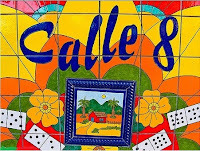 Highlights include Festival of Authors, the Comix Galaxy, Celebrating Mexico's Bicentennial with cuisine tastings, the Children's Alley and the all-time favorite the Street Fair (Nov 19-21). Don't miss the 26th annual event. The Miami Classical Guitar Society begins its 2010-2011 season with the amazing young Duo Siqueira Lima from Brazil! The concert takes place at the Episcopal Church Center in the University of Miami Campus, 1150 Stanford Drive, on Saturday, November 20, at 8 pm. Tickets cost $20 at the door, and $15 members, students, seniors. Parking is free. For more information, call 305-412-2494, or visit http://www.miamiguitar.org/. The Miami Classical Guitar Society, founded in 1988, is a Non-Profit Organization dedicated to promoting greater appreciation for classical guitar in our community through concerts, master classes, lectures, and competitions.